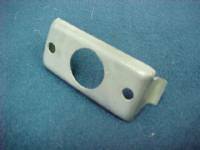 1966-67 Charger Headlight Bezels. Sold as a Pair. 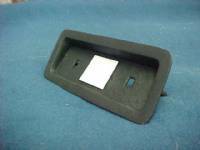 1969 Charger Taillight Panel Trim. Sold as 2 Pieces. 1967 Dodge Charger Fender Indicators Lenses, sold as a pair. 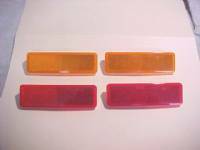 1967-1972 Dodge Charger & other fender indicators, sold as a pair. 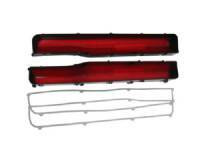 Indicators also fit 1972 Plymouth Barracuda, 1970-1972 Dodge Challenger, 1970-1972 Dodge Dart Hardtop, 1971-1972 Dodge Demon and 1969 Plymouth Barracuda. 1968 Dodge Charger Reverse Light Lenses, sold as a pair. 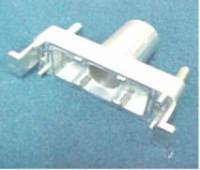 1968-1969 Dodge Charger Front Parking Lamp Assemblies, sold as a pair. 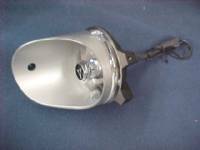 1968-1969 Dodge Charger Front Parking Lamp Lenses, sold as a pair. 1968-1969 Dodge Charger Hood Signal Housing, sold individually. 1968-1969 Dodge Charger Hood Signal Lenses, sold as a pair. 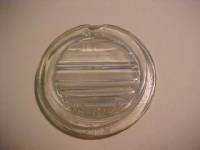 1968-1969 Dodge Charger Hood Signal Retainer, sold individually. 1969 A-Body & B-Body Complete Side Marker Set. 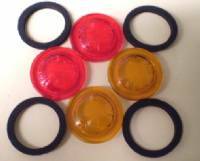 Set of 4 - includes 2 Amber Lenses, 2 Red Lenses, 4 Housings, 4 Retainers, Gaskets, and Nuts. 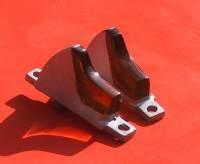 1969 A-Body & B-Body Side Marker Housings, sold as a pair. 1969 A-Body & B-Body Side Marker LED Light Set Assembly Kit. For the customer who would like to customize their car, these Side Markers were originally just reflectors, They are now available with LEDs. The Assembly includes 4 Housings, 4 Lenses, LED Lighting, Retainers, Gaskets & Mounting Hardware. All you have to do is paint the housings to match your car, connect to the lighting circuit for power & small wire to ground. 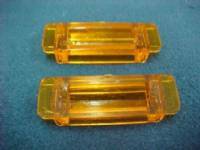 1969 A-Body & B-Body Side Reflector Lense Set, sold as a set of four (two amber, two red). 1969 Charger Tailight Lens, Sold as a pair. 1969-1970 Dodge Charger Reverse Lens, sold as a pair. 1969-1970 Dodge Charger Reverse Lens Assembly, sold as a set (pair). 1969-1970 Dodge Charger Reverse Lens Retainer, sold as a pair. 1970 Dodge Charger Hood Signal Assembly, sold as a pair. 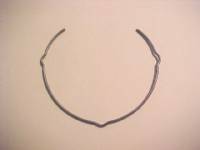 1970 Dodge Charger Hood Signal Ground Strap. 1970 Dodge Charger Hood Signal Lenses, sold as a pair. 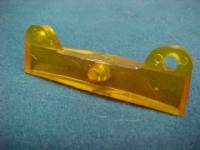 1970 Plymouth Road Runner & GTX Hood Indicators, sold as a pair. 1971-1972 Dodge Charger & Other Fender Lenses, sold as a pair. Lenses also fit 1972 Plymouth Barracuda, 1970-1972 Dodge Challenger, 1970-1972 Dodge Dart Hardtop, 1971-1972 Dodge Demon and 1969 Plymouth Barracuda. 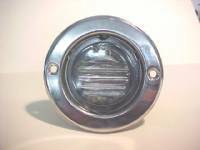 1963 Belvedere Taillights Bezels. Sold as a Pair.